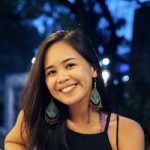 Planning a trip to Honolulu? From surfing and shopping to savouring the local cuisine, there’s so much to do around Hawaii’s capital. We wouldn’t be surprised if after an activity-packed day, you’ll want to kick back and relax somewhere clean, cosy, and easy on the eyes. Instead of your typical hotel stay, opt for one of these chic yet homey Airbnb residences! 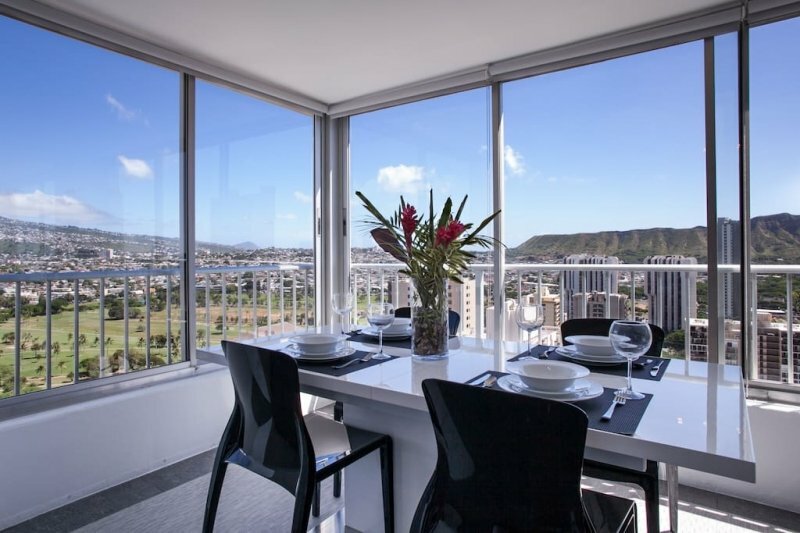 We’ve narrowed your options down to a selection of highly-rated listings — keep scrolling and take your pick of some of the best Airbnbs in Honolulu. Listing name: NEW LISTING!! Cozy Tropical Retreat! 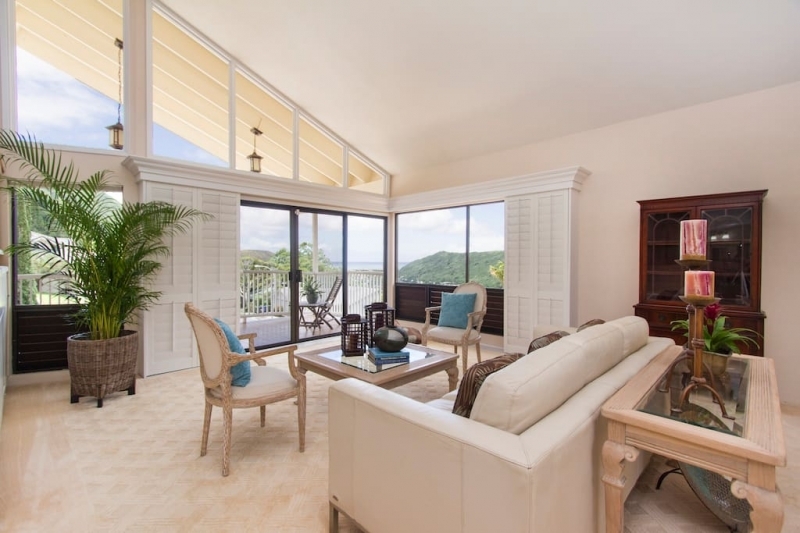 Guests looking for an escape from Honolulu’s busy streets will appreciate this suite’s quiet suburban location. 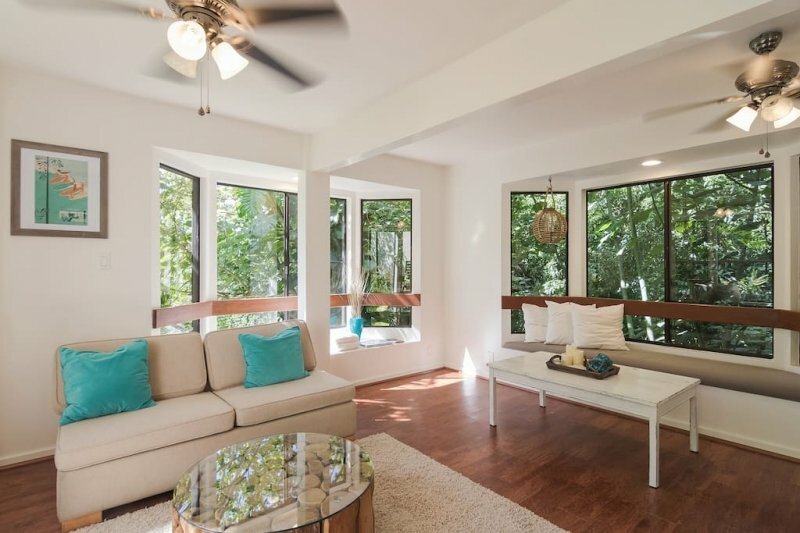 This listing is situated in a private residence in the middle of lush greenery and is close to a stream — it’s been said to make guests feel like they’re in the middle of a tropical rainforest! 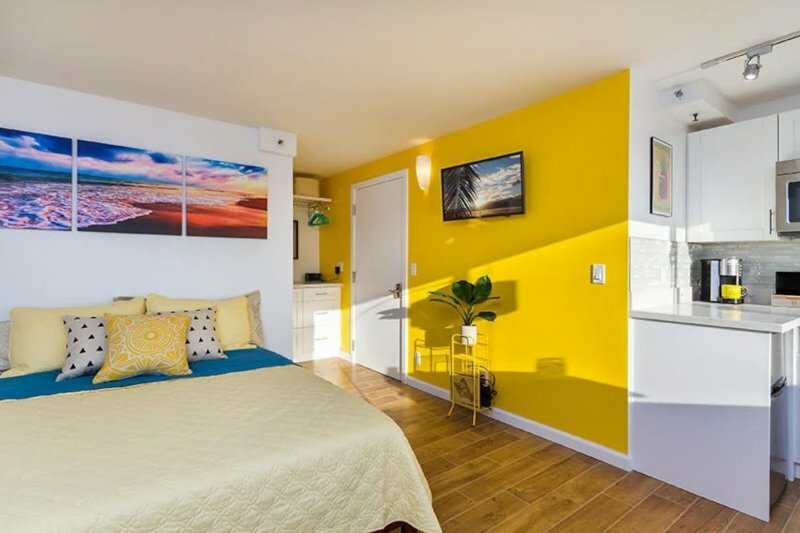 This Airbnb is a short drive away from all of Honolulu’s excitement, and it’s in even closer proximity to a few other under-the-radar sites you may want to explore. For starters, one of the best hikes in Hawaii is just five blocks away, and a beautiful Buddhist temple stands just across the street! Note: This listing is located up a steep hill, so picking up a car rental is highly encouraged. Steps are steep as well — something that elderly or handicapped guests may want to take into consideration. Here’s a listing you’ll want to book for longer stays in the city. 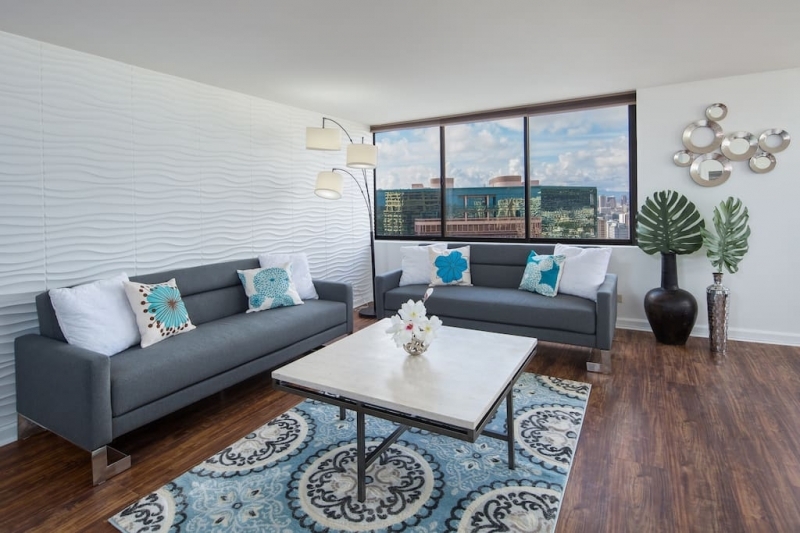 This centrally located apartment is gorgeous, spacious, and fully furnished — so chic yet homey, you’ll probably be tempted to move in permanently! 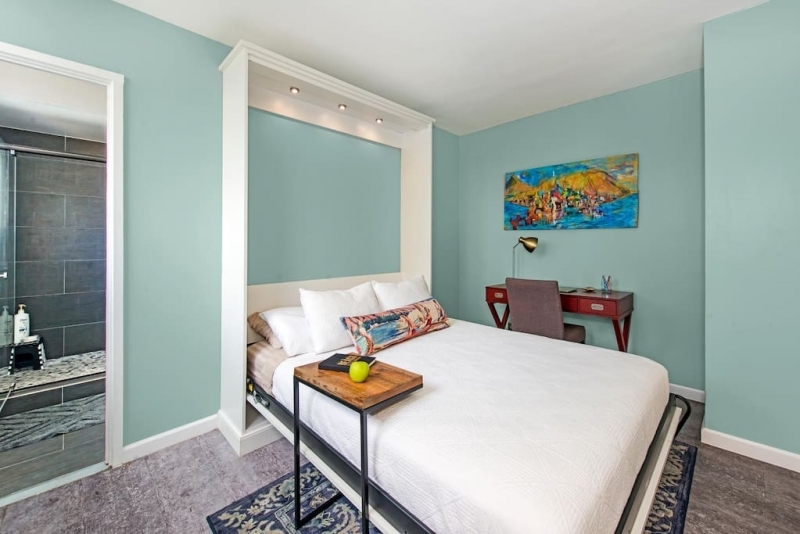 Ideal for small groups, this two-bedroom Airbnb has great family-friendly amenities for those travelling with infants. Accommodating superhost Ashlee is dedicated to providing guests with everything they might need for a stress-free trip. Among these are travel books and a binder full of helpful tips and things to do around town. 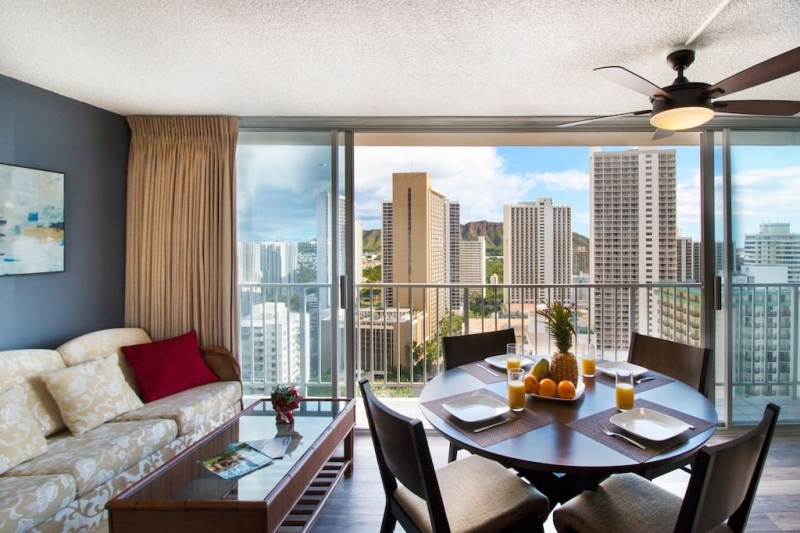 Being close to Honolulu’s top hotels and resorts, this Airbnb gives you easy access to bus, trolley or Uber rides; if you opt for a car rental, this listing comes with a reserved parking spot (always a plus when in Hawaii!). 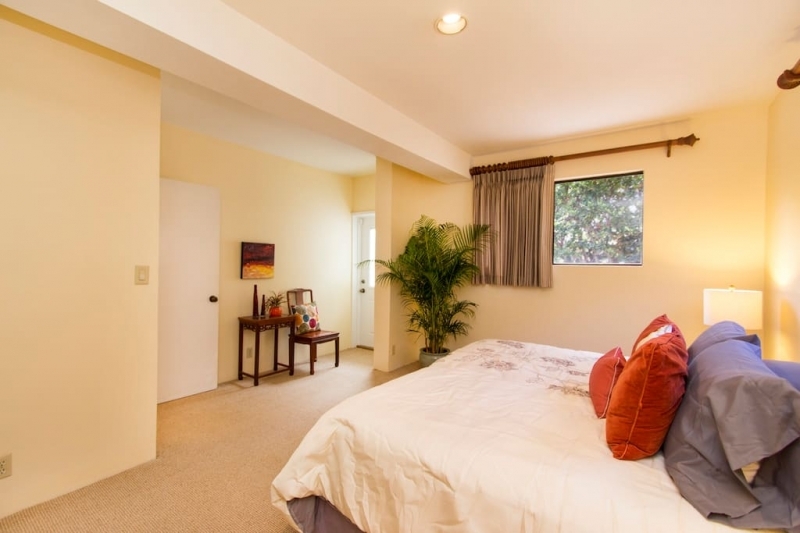 This newly remodeled studio apartment is for travellers who prefer to be right by the tourist spots. 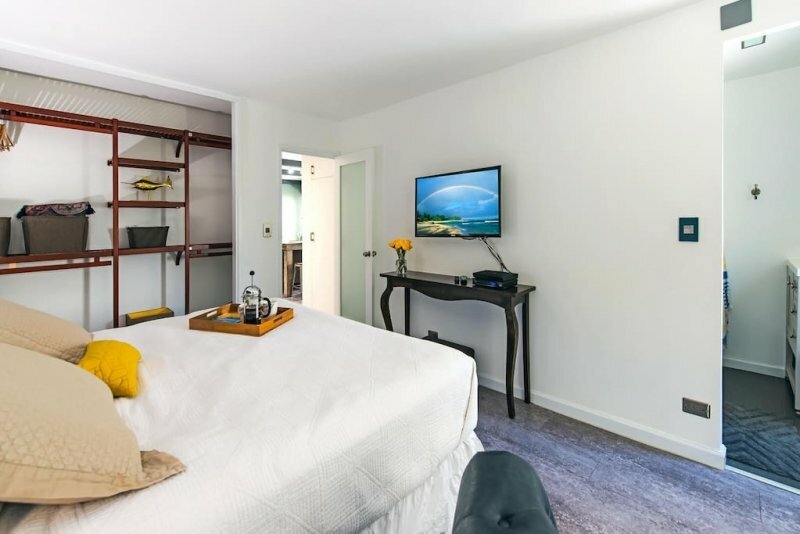 Because parking around the city can be really pricey, guests love how this listing is a walk away from most places — all previous guests have given its location a five-star rating! 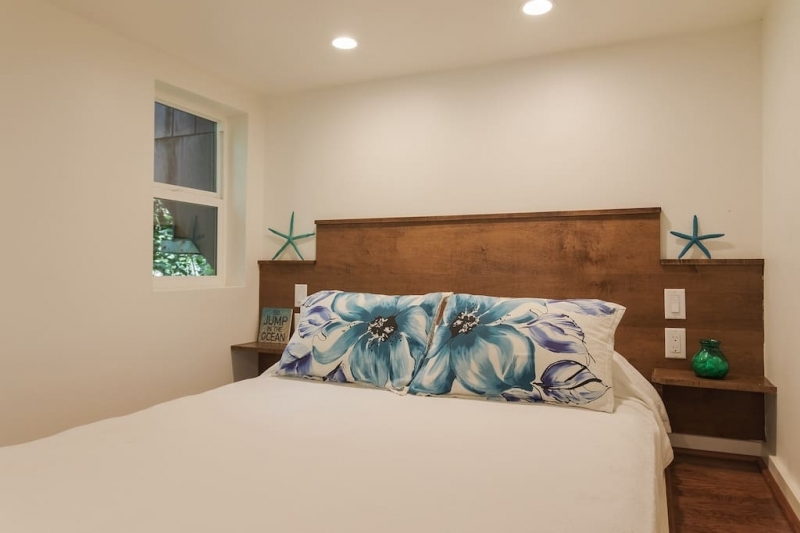 A compact home away from home that’s perfect for two, this listing is equipped with a comfy king-size bed, a fully stocked kitchenette and dining area, and a couch that doubles as a bed for two more guests. 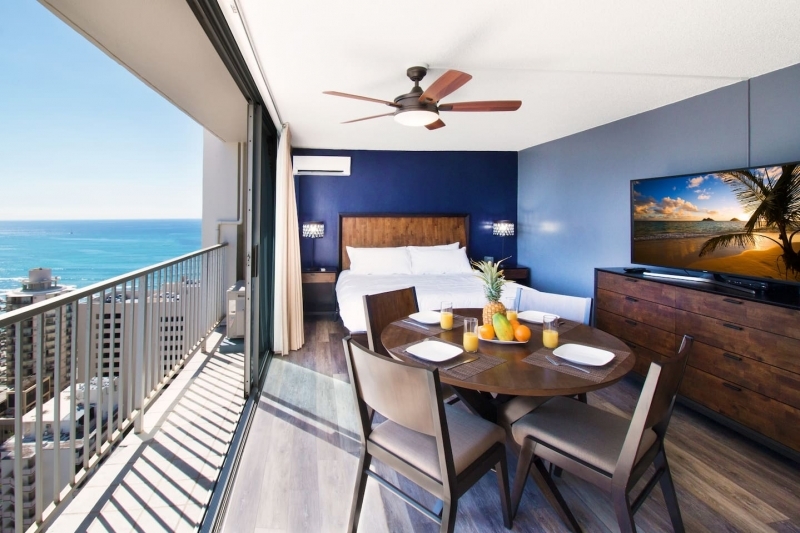 Since this listing is a room at Honolulu’s Pacific Monarch, guests can also enjoy access to the building’s recreational amenities like the rooftop pool, hot tub, and sauna. Travellers who are looking for an accommodation with a homier feel will love this ocean view apartment! 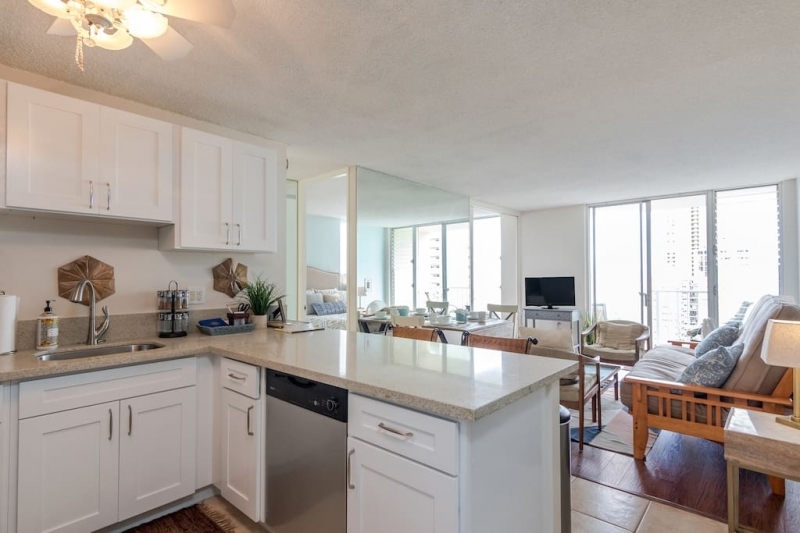 The one-bedroom listing comes with a breezy lanai and living area, a fully equipped kitchen and dining table, as well as access to the building’s laundry facilities — everything you might need to call this place home. The free parking spot is a big bonus as well! 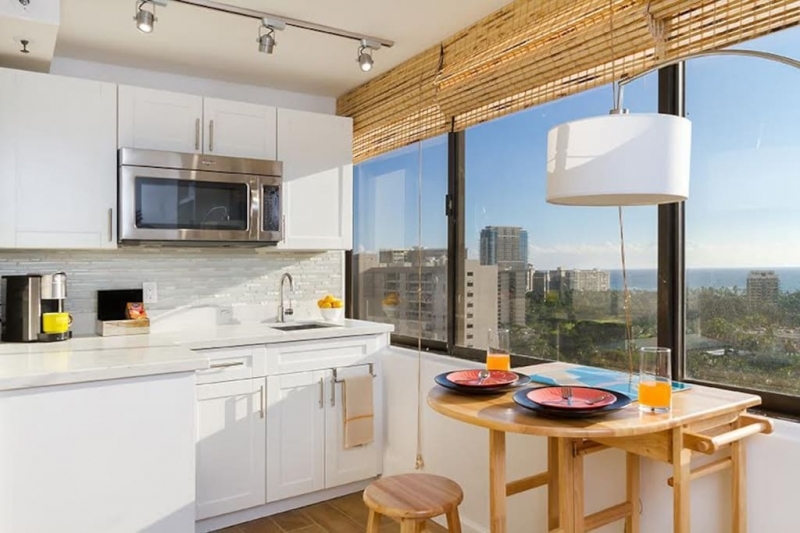 Despite its quiet location, it provides easy access to much of Honolulu’s attractions: Waikiki Beach, Diamond Head, shopping and dining hot spots, the zoo, and the aquarium. It’s also only 20 minutes away from Hanauma Bay, the island’s best spot for snorkelling! 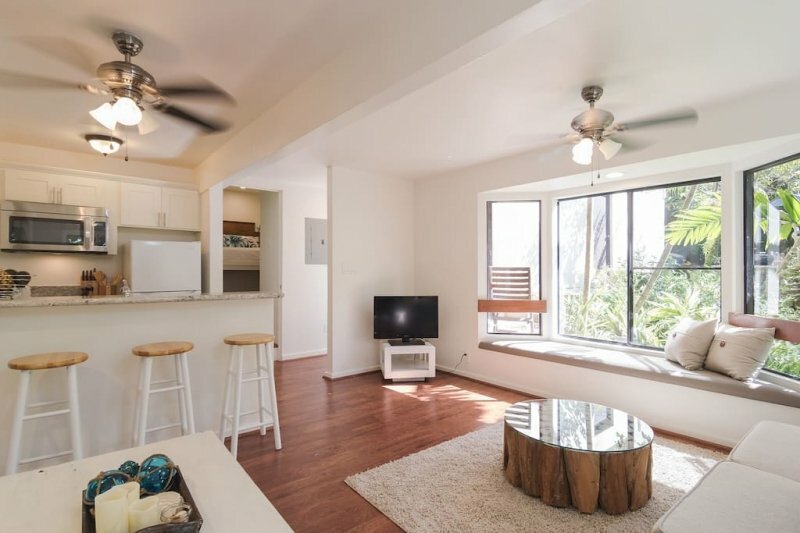 This studio apartment hidden in Honolulu’s Hawaiian Monarch building is cosy, cute, and Instagrammable. With its secure and convenient location, it’s a great choice for solo travellers or girlfriends on a BFF bonding trip! 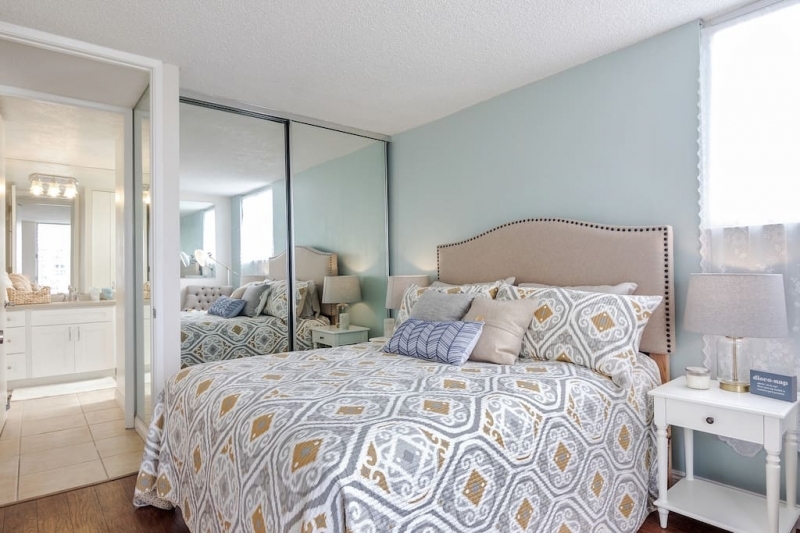 No doubt this listing provides good value for money; it offers a comfortable bed, a bathroom stocked with fresh linens and bath essentials, a fully equipped kitchenette, and a little dining area. 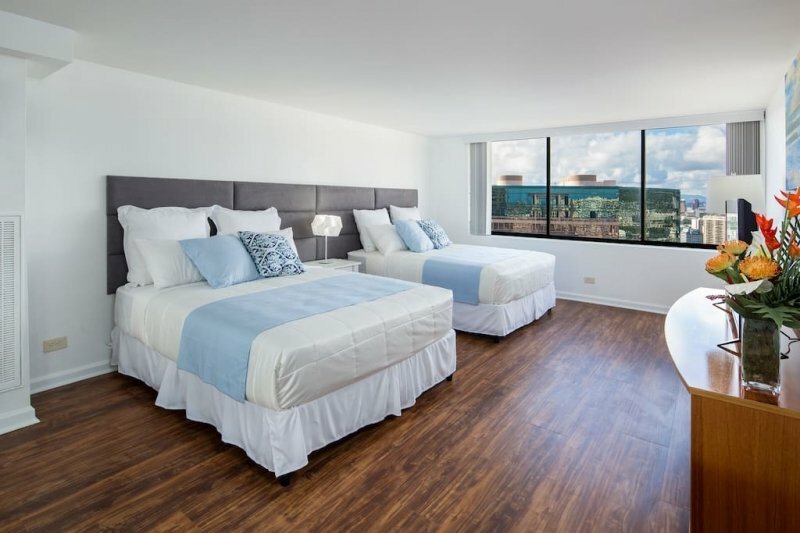 This quiet location is just a 15-minute walk from Honolulu’s busier streets; an activities and car rental desk is available online for those who may need it. The property is also right next to a convenience store and great local cafes. Guests swear you should try the fresh malasadas (Portuguese sugar doughnuts) available at the lobby! Listing name: 29 Floor Penthouse. Parking offiste. Would you believe this sleek apartment sits at the top of an old, unassuming building? This one-bedroom unit was renovated and transformed into a cool, open-plan loft perfect for couples. 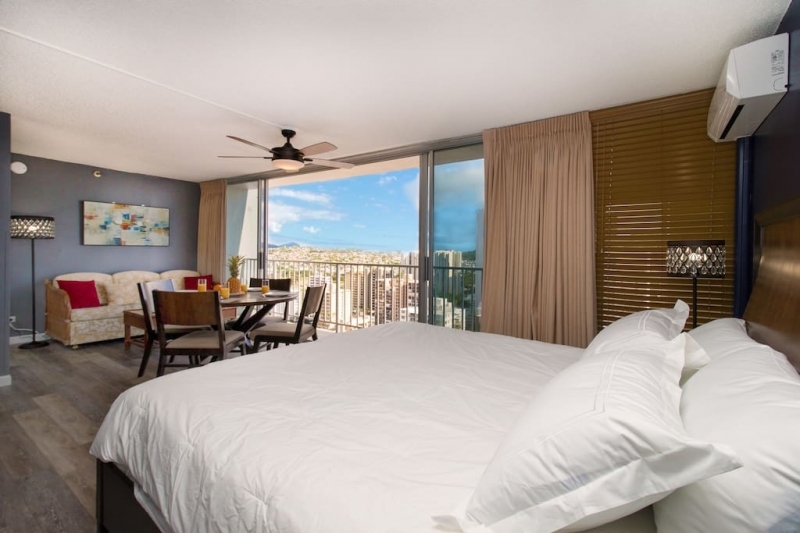 Just walking distance to Waikiki Beach, its penthouse location provides guests with some of the most beautiful beach and mountain views — a sight to behold, both in the day and night. 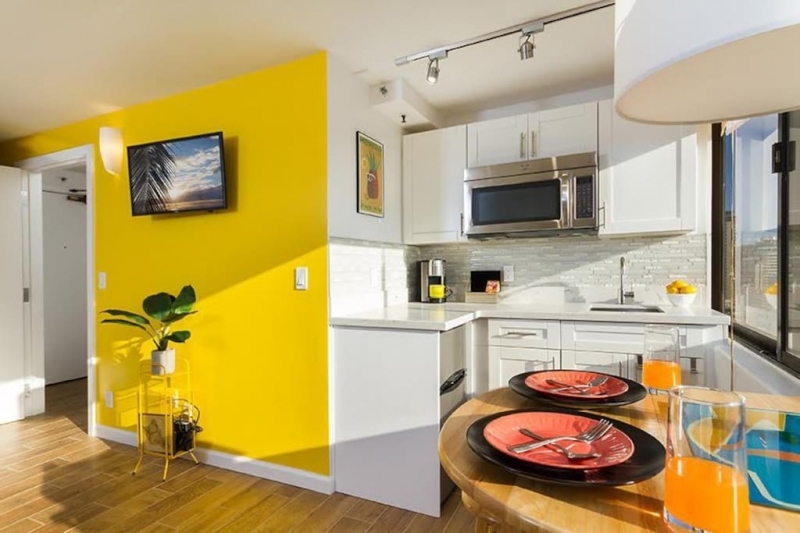 This modern listing comes with everything you might need to call it home: a kitchen, living and dining area, laundry area — even Bose speakers and an Apple TV! An excellent choice for those travelling in big groups, this spacious home is perfect for family vacations. 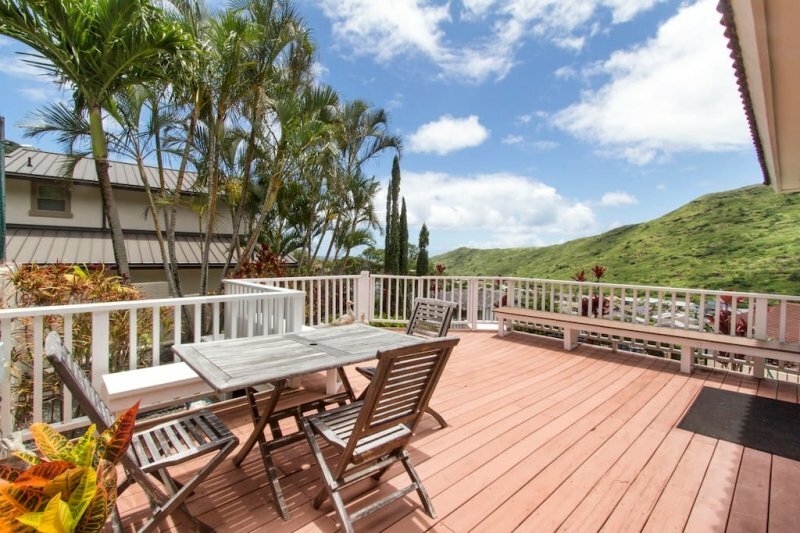 Hawaii being a top wedding destination, this listing is also a great pick for housing wedding parties, or families of the bride and groom. With five bedrooms and generous living areas, this house can fit more than 16 guests. You’ll definitely be getting more bang for your buck! 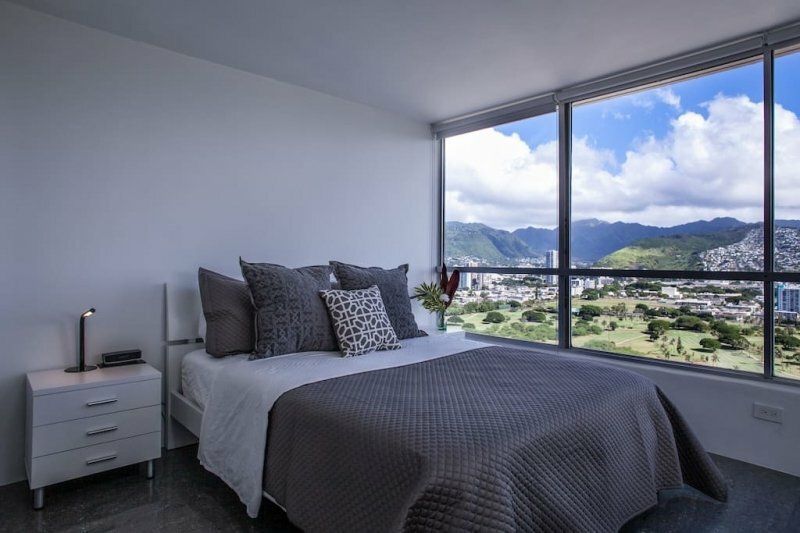 Tucked in a quiet, high-end neighbourhood, this Airbnb is situated away from the hustle and bustle of Honolulu. Because it’s very close to local supermarkets and convenience stores, you can easily stock up on food to prepare home-cooked meals or fire up the grill! Shops, beaches, and other tourist-friendly spots, on the other hand, are a close driving distance away. Note: For those taking car rentals, this home only has two parking spots. There are also lots of stairs to climb — something those travelling with elderly or handicapped family members might want to take into account. 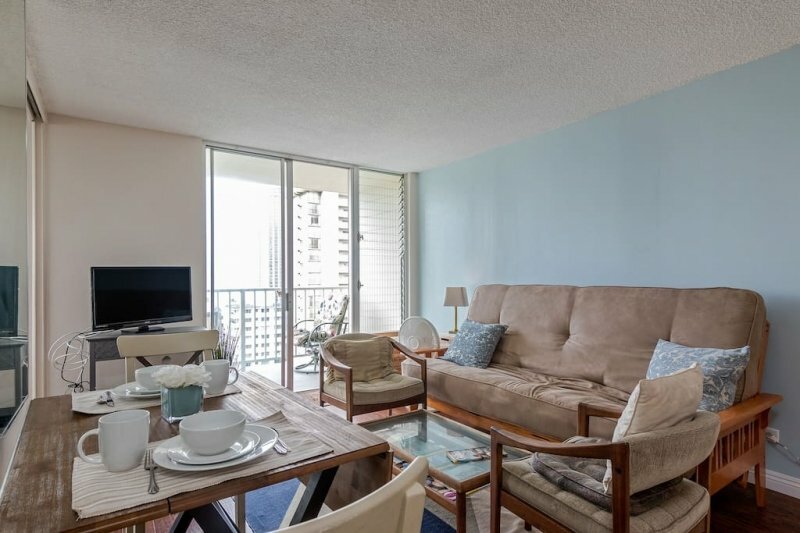 This listing may be a little farther from Honolulu’s main strip, but it’s only a 10- to 15-minute walk away, and definitely worth travelling back and forth for! 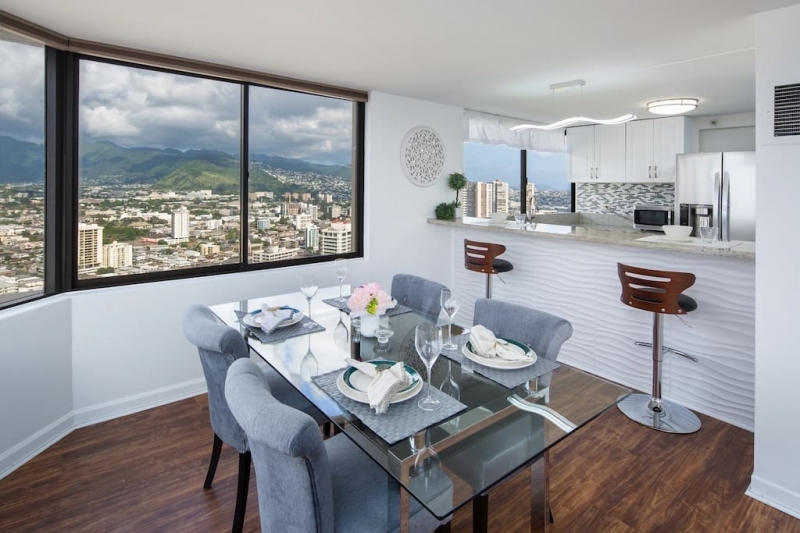 A two-bedroom penthouse apartment at the Monarch Hotel, this Airbnb comes with tasteful, modern interiors and has spectacular views of the mountains and the city. 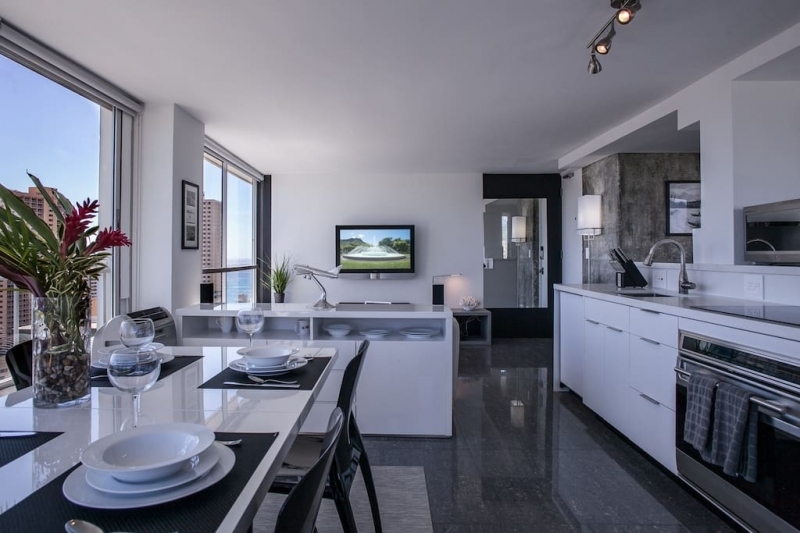 Get your money’s worth when travelling with a group — this apartment can fit up to eight guests! 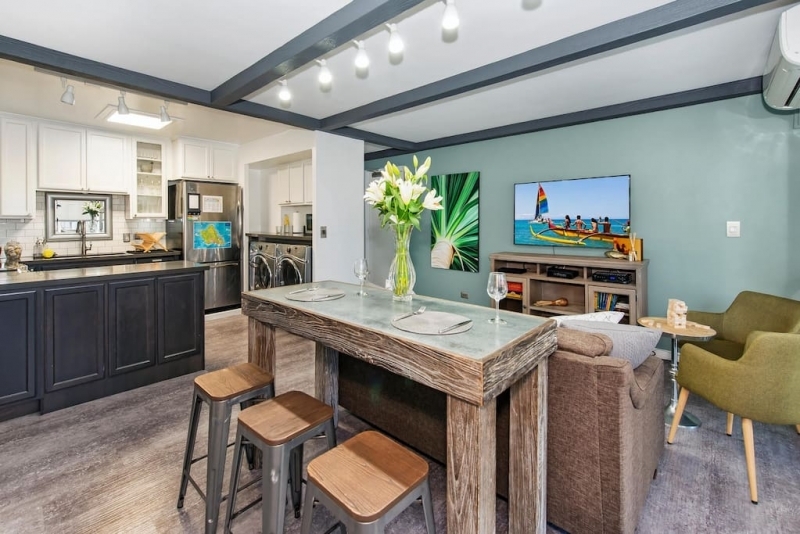 With its tasteful design and generous living spaces, you’ll be sure to enjoy your time bonding with family and friends at this home just as much as when you’re out and about. Well, what do you think? We won’t be surprised if you have a hard time selecting just one! We hope your stay on the island is nothing short of magical.